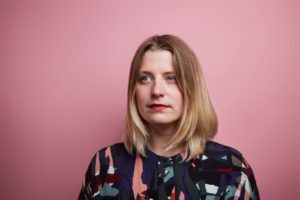 With DJ sets and readings by music legends Jarvis Cocker (Pulp) and Thurston Moore (Sonic Youth), a live performance by punk-trio Big Joanie, alongside readings by poets CAConrad and Sophie Robinson, join us for an evening of experimental performance inspired by artist and poet Adrian Henri (1932–2000). Thurston Moore moved to NYC at 18 in 1976 to play punk and started Sonic Youth in 1980. With Sonic Youth, Moore turned an entire generation on to the value of experimentation in rock n roll. 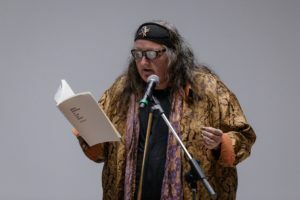 Thurston records and performs in a cavalcade of disciplines ranging from free improvisation to acoustic composition to black/white metal/noise disruption. 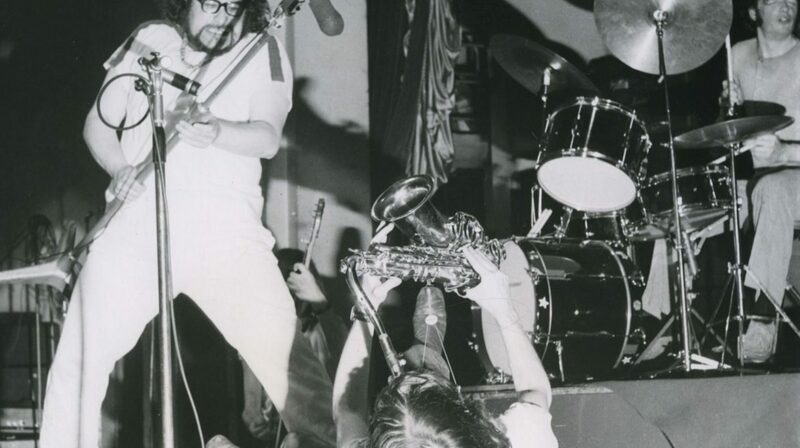 He has worked with Yoko Ono, John Zorn, David Toop, Cecil Taylor, Faust, Glenn Branca and many others. His residency at the Louvre in Paris included collaborations with Irmin Schmidt of CAN. Alongside his various activities in the musical world, he is involved with publishing and poetry, and teaches writing at Naropa University, Boulder CO, a school founded by Allen Ginsberg and Anne Waldman in 1974. Thurston also teaches music at The Rhythmic Music Conservatory (Rytmisk Musikkonservatorium) in Copenhagen. 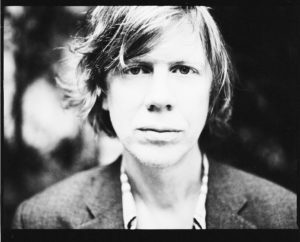 Presently he performs and records solo, with various ensembles and in his own band, The Thurston Moore Group with mbv’s Deb Googe, Steve Shelley & James Sedwards. Image © Vera Marmelo. Jarvis Cocker has been making music for two-thirds of his life. Two dozen of these years (1978 – 2002) were spent in Pulp, a group with whom he enjoyed most of the experiences you can have as the singer in a band. First feted by John Peel and then ignored during the long Dole Years, the group eventually became the country’s slowest overnight sensation during a heady period book-ended by ‘Common People’ becoming a touchstone anthem at their Glastonbury headline slot in 1995, and Jarvis invading the stage during Michael Jackson’s performance at the Brit Awards eight months later. Over this time, Jarvis went from being the quintessential outsider to being one of the most recognised and cherished figures in Britain. He brought a rare, bookish wit to the pop charts, and cut an original dash in a rock’n’roll world of dominated by reductive cliché. Presently Jarvis Cocker performs solo and with various projects. Big Joanie are a black feminist punk band. They’re like The Ronettes filtered through 80s DIY and 90s riot grrrl, with a sprinkling of dashikis. functioned as a space where its members (Stephanie Phillips, Chardine Taylor-Stone and Estella Adeyeri) could be completely themselves as black women, and within it discover their own power in creativity. In 2014 Big Joanie’s Sistah Punk EP was released on Tuff Enuff Records, and in 2016 they self-released their haunting single ‘Crooked Room’. Establishing themselves amongst London’s thriving DIY punk scene they have since toured the UK and Europe supporting acts such as Downtown Boys, Shopping, Parquet Courts and more. 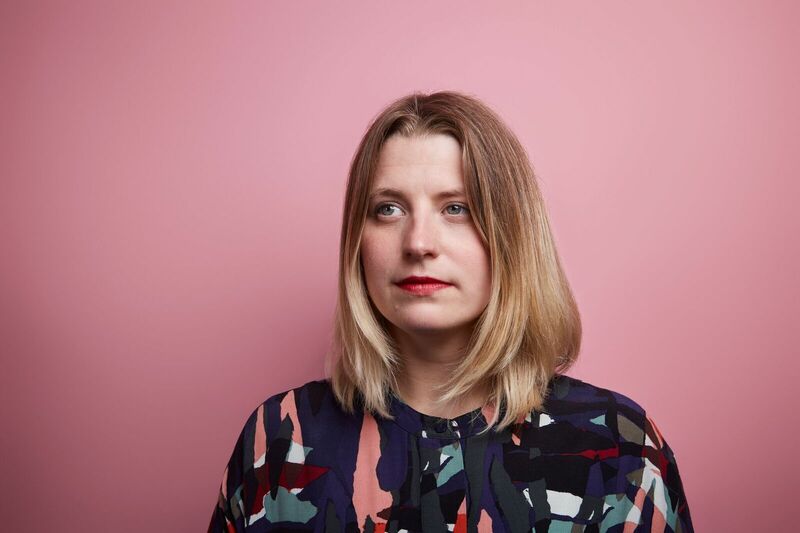 One evening in June 2018 Big Joanie were discovered by Thurston Moore, Eva Prinz and Abby Banks whilst supporting seminal Dutch punk band The Ex. Numbers were exchanged, a coffee date was set – and by the next morning the trio had confirmed they would release the band’s debut album Sistahs, and that they’d be launching a new label imprint called ‘The Daydream Library Series’ in order to do so. 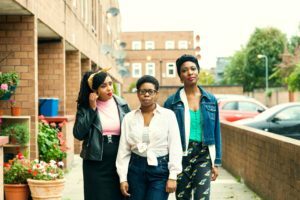 Outside of the band all three members have strong community ties, from helping run the festival for punks of colour Decolonise Fest, coaching new talent at Girls Rock London, or launching the ‘Stop Rainbow Racism’ campaign which works to stop racist performances in LGBT venues. Black feminism is at the heart of Big Joanie’s music and actions, and with the release of Sistahs the band hope to spread their message even further.